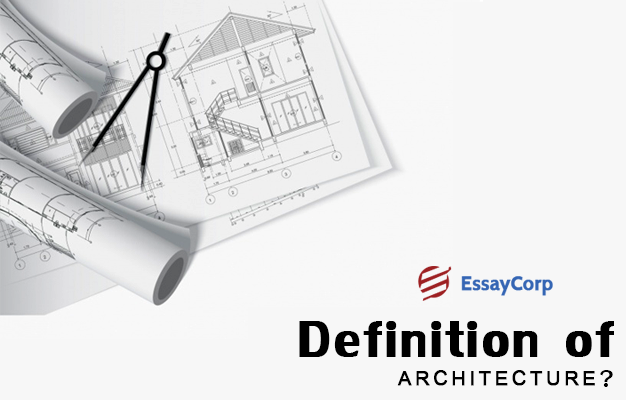 A dissertation in architecture is an academic essay that the student needs to present during the course. It is presenting something new in the field of architecture based on the student’s research. The topic of a dissertation can be decided by the student and the topic should not be something from the academic literature. It is a chance to present something new in the field of architecture that no one has touched or pursued before. Architecture is an interesting field and there are numerous topics that the students can choose from. Architecture can be defined as the process and procedure of designing and constructing a building or other structure. It is not the designing of normal buildings; an architect designs structures that are of cultural importance. There are numerous topics that the students of architecture can take on for the dissertation. A student must select the topic that interests them and which they have some knowledge about because if you select a topic that is of less interest to you, the temptation of abandoning the dissertation might arise. These are some of the best architecture dissertation examples that the students can choose for their dissertation. The housing of the urban poor in Chicago since 1970’s. Explain the changes observed in the urban housing during the period from 2000 to 2010 in Melbourne. What is the place of middle-class architecture in modern society and also discuss its nature. How does the government policy regarding mortgages affect the architecture industry? How can the architecture of airports be designed so that it handles multiple tasks more effectively? Describe the influence of art on the design of ancient churches. Describe the architecture of the British during its occupation in India and when compared to the rest of the world. How does a poor workmanship affect the architectural project and the final outcome? Also, provide examples from the near past in Australia. What are the challenges faced with the construction of a building in an area where the seismic activity is moderate and also an area where it is high? How would you go about constructing a bridge through a large swampland? Discuss the architectural difference that can be faced by an engineer while building an infrastructure in a hot area vs. a cold one. Discuss the most useful design tool in architecture and how it has changed the face of designing in the architectural world. Discuss the architectural design of the 18th century in comparison to the 19th and the 20th century. Designing a building that is self-sufficient when it comes to the generation and utility of power and reduced carbon footprint. Provide a model for the ventilation in a small and a large house. Provide a model for a building that is self-sufficient with all the power requirements. Discuss some of the essential things that you need to focus on while drawing a palatial house. The programmes that are available in the market, criticise them as to why they make the process of designing more mechanical and of low quality. Discuss the ethical limitations of an architect in the line of work they do, also mention the bad practices that an architect can make in the work. Discuss the concept of abstract expressionism and how it is related to architecture. There are several things that the students must keep in mind while writing a dissertation, the language of the dissertation must be formal and certain verbs must be avoided; words that make your argument seem weak. Writing a dissertation can be a tough job, therefore we advise you take some professional help. We at EssayCorp provide the best essay writing and architecture dissertation help that will get you the grade that you desire.